So I made a book mark for Top Ender. 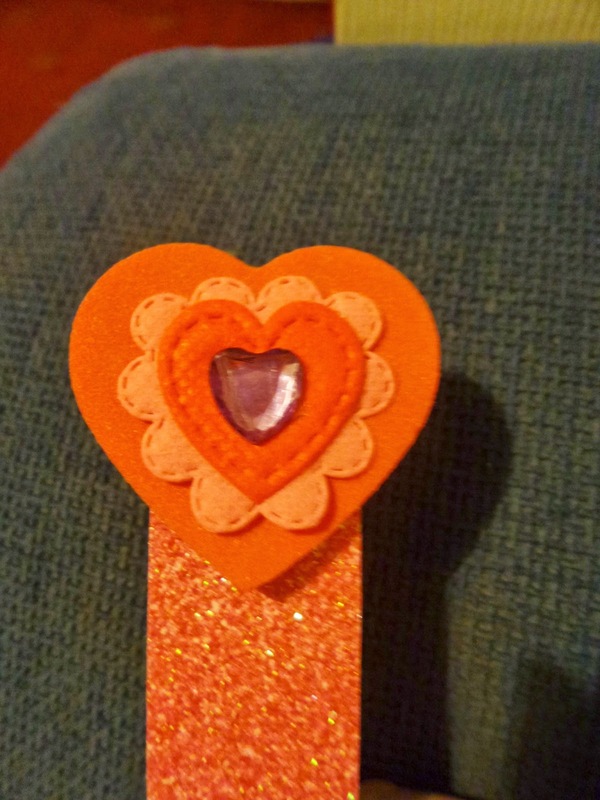 I cut a strip of sparkly card, I took a foam heart and a fabric heart embellishment and simply stuck them together using the Bostik mini glue dots. 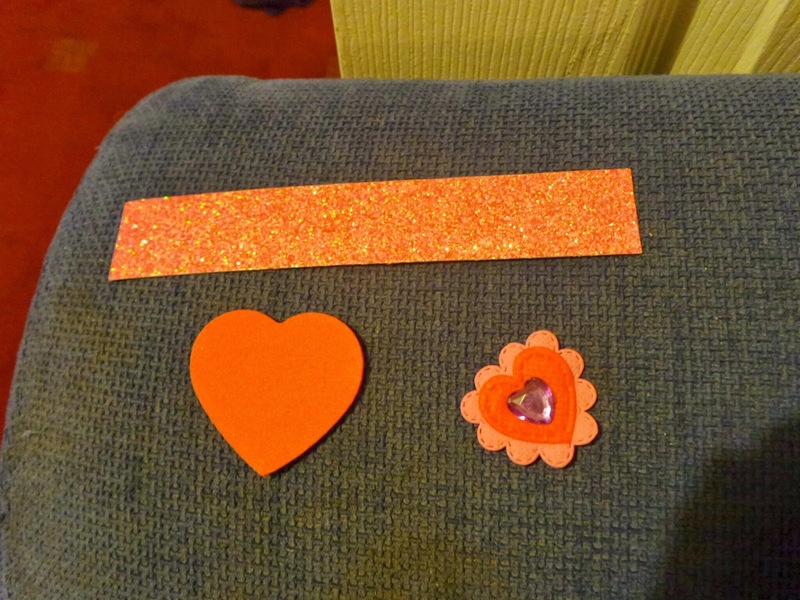 I left a bit of space on the foam heart so that the whole thing wasn't stuck to the sparkly card. I did this, as I love having book marks that stick over the edge of a page, I think it looks cute! The next step was making cards. I decided to make a couple for the children, as I'd already chosen a card for my lovely husband. 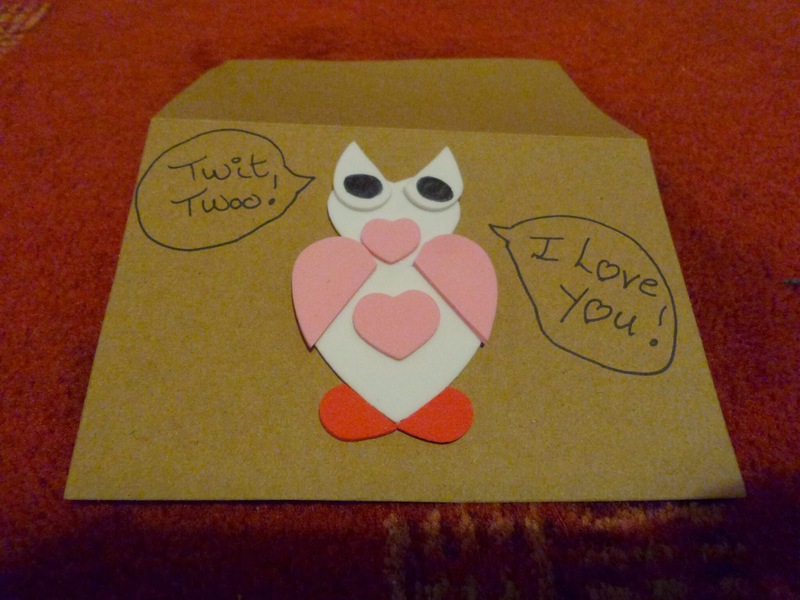 Using foam hearts, I made an owl card for each of them. 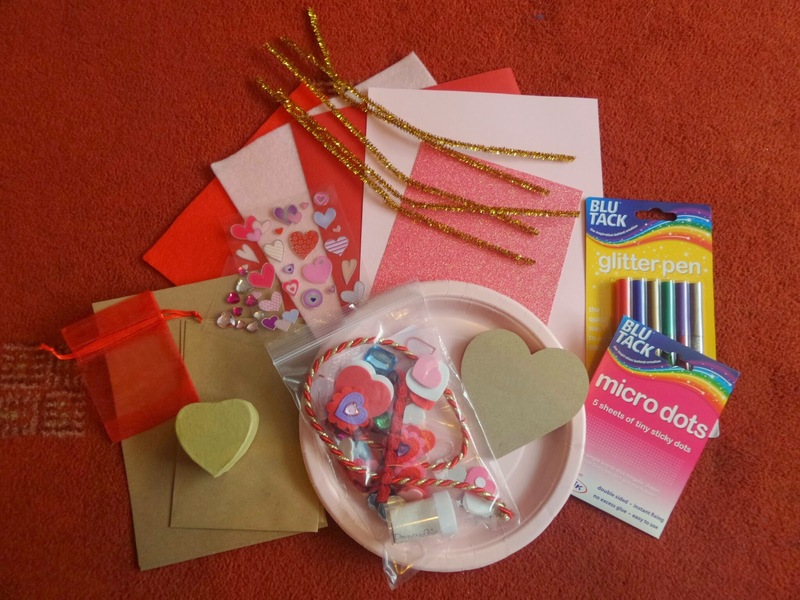 So those were my last minute Valentine Crafts. What have you been making?